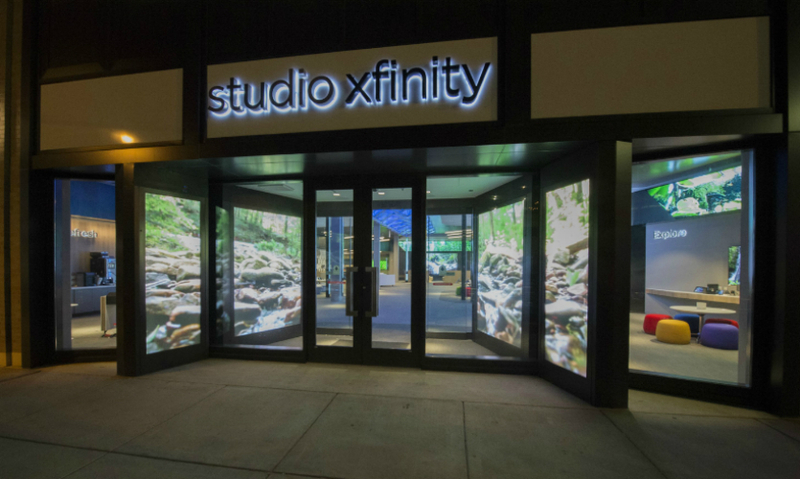 Studio Xfinity is Comcast's new service center prototype. The first store opened recently in Chicago. 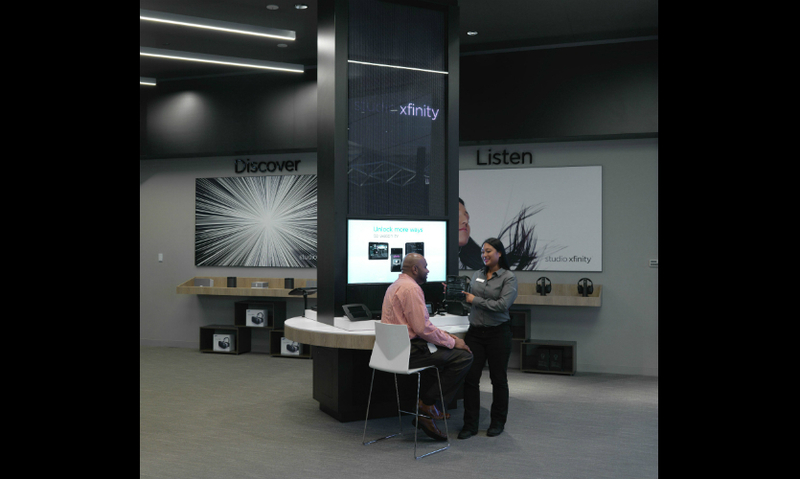 The store is a flexible, immersive media environment designed to showcase Xfinity connectivity. Three flexible, multi-purpose studios are outfitted with 12- by 7-foot LED screens and theater-style seating for small classes, demonstration, and playing games. ESI Design (with BumbleBear) created custom games for the store. State-of-the-art demonstration towers show guests what they can do with XFINITY products. Customers get dedicated service support via a tablet-based app that allows staff access to their services and trouble-shooting histories. The sculptural ceiling element designed by ESI is embedded with LEDs than can be ambiently coordinated with the media displays or show video. 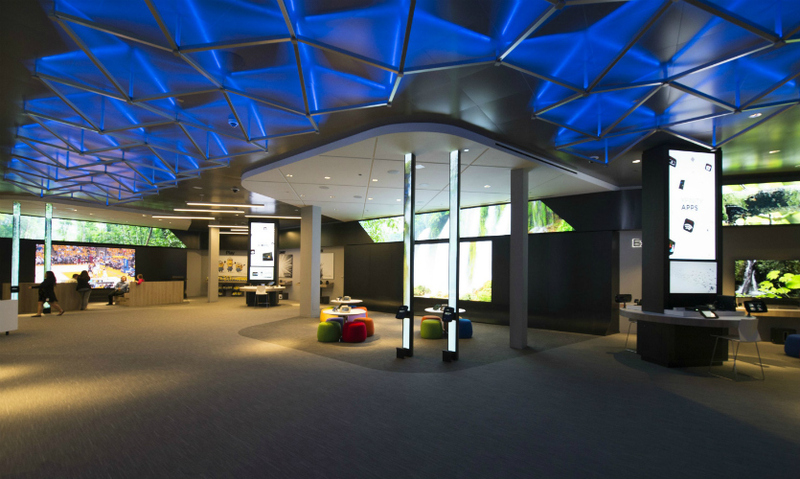 Flexible media and a new customer engagement model make Comcast’s prototype service center an entirely new brand experience. 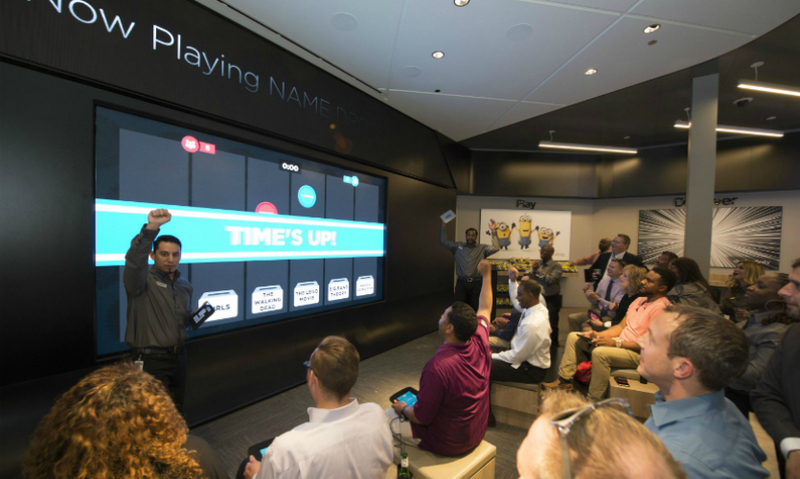 When media giant Comcast decided to retool its XFINITY customer service centers, the idea was to move away from the purely transactional model of the past and create an entirely new way to engage with customers. 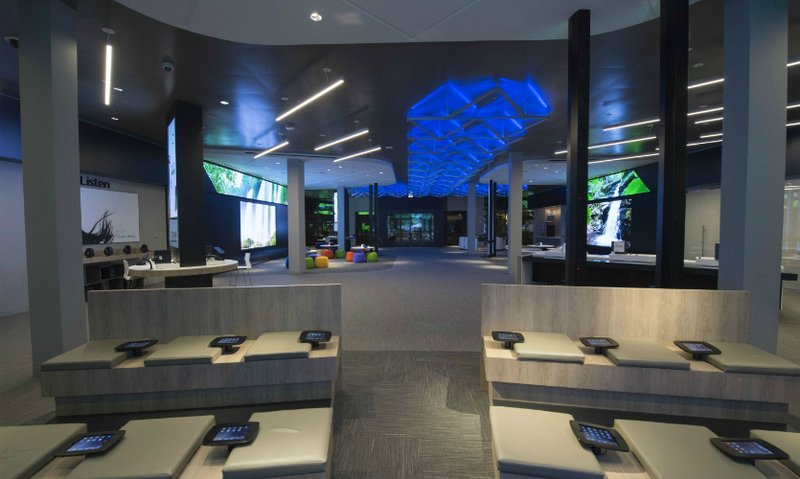 What if instead of the traditional service experience—slogging equipment to the store or standing in line to pay a bill—you walked into an immersive, interactive media environment that invites you to play games, test-drive new tablets and phones, and watch high-definition media? 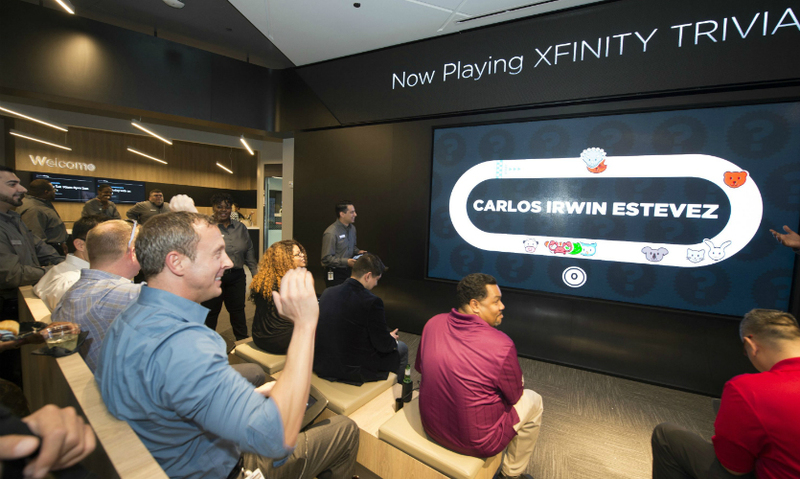 Comcast and the ESI team knew the best way to relate to customers and show off the XFINITY line of products and services was to show them how the video, high-speed Internet, and phone offerings work and the connectivity they can bring to life. So the new store was designed to accommodate flexible media displays, demonstration areas, and small classes, showcasing the company’s rich trove of media assets (Comcast owns NBC, Universal, and Telemundo). From the get-go, media draws customers into the store. It incorporates more than 800 feet of LED screens and large-scale media installations, including a 107-foot-long LED media band wrapping the upper walls. Close to 50 tablets and touchscreen surfaces invite customers to get actively engaged with the product. Just inside the doors, “guests” learn that the old ways of doing business have changed. As soon as they arrive, they get dedicated service support via a tablet-based app that allows staff access to customer information, from the services they have to trouble-shooting histories. ESI Design worked with technology design firm Control Group (New York) on the technical development of the app. At the heart of the store, three flexible, multi-purpose studios are outfitted with 12- by 7-foot LED screens and theater-style seating, allowing customers to interact with each other as well as with the studio screens while playing single- or multi-player games (custom designed by ESI Design with BumbleBear). They can also participate in live demos or test-drive new or existing Xfinity products. The screens can be focused on a unique activity or coordinated for hosting store-wide events, launches, movie premieres, or larger-scale games. State-of-the-art demonstration towers show guests what they can do with XFINITY products. 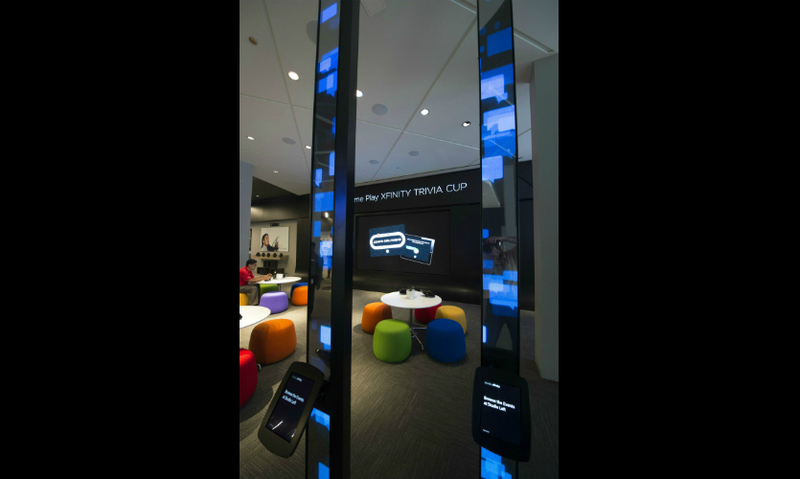 The tall, two-sided totems with integrated 2.5mm LED screens can show guests, for example, how to program their DVR or get content from the cloud. Virtual call bells on the towers ensure that if customers need help, a staff person can be summoned right away. Comcast will spend the next year tracking how customers are using the prototype, what’s working, and what isn’t so they can roll out the new store design to more of its customer service centers. Karadin says integrating flexible, updatable media was the key to the project’s success and they are doing similar projects for many types of clients, not just tech companies. >>Be an Xplorer! 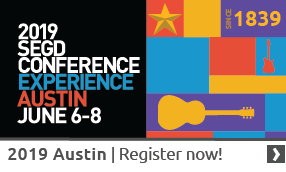 Find more content in your areas of interest in SEGD's Xplore Experiential Graphic Design index!